Many people are now looking to improve the look of their teeth by eliminating chipping and cracked teeth. 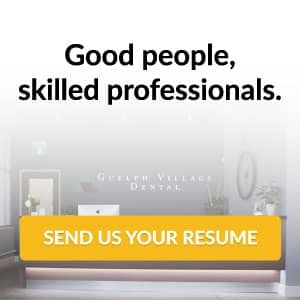 Guelph Village Dental has decades of experience in the field of cosmetic dentistry, and in this post, we’ll explain the benefits of dental veneers. In addition to the speed of treatment, veneers offer several practical advantages over other forms. For example, you can use dental veneers to change the shape of your teeth. Surface flaws within the teeth can be corrected with precision, allowing the dentist to form the shape of the teeth to suit the patient’s unique facial structure. A clear advantage of working with porcelain veneers is that they are virtually indistinguishable from natural enamel. Light shines through the natural enamel and bounces off the underlying dentin within the tooth. The same is true of porcelain veneers, which offer a natural appeal other restorative products such as fillings, simply cannot match. Keeping your teeth in immaculate condition after treatment is often just as important as choosing a treatment service in terms of the future value of cosmetic work. It’s the reason so many are now choosing low maintenance veneers as their dental restoration product of choice. Veneers are designed for superior stain resistance, helping you to retain that immaculate white smile over the long-term. 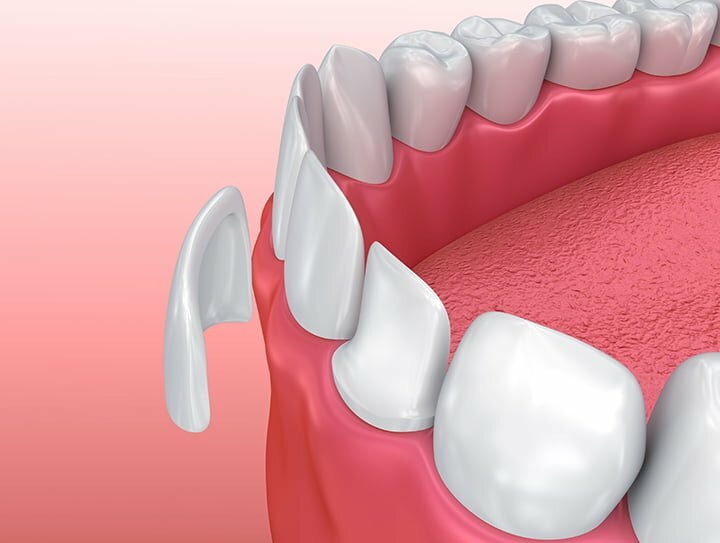 Here at Guelph Village Dental, we can place porcelain and composite veneers with precision. Our team has decades of experience working with quality restoration products and now has one of the best reputations in the local field. To learn more about restoration work and the service options available at our clinic, call today to book a consultation.